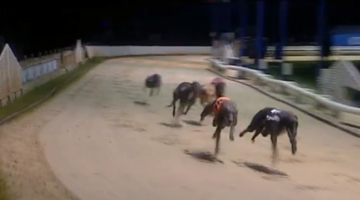 Open race winners Seaglass Phantom and Salacres Barley, backed up by some promising trialists, all made progress towards next week’s GMG Puppy Classic which closes at 11am on Thursday. Pete Harnden’s locally trained and bred Salacres Barley (Zero Ten-Barley Bussell, Nov 16) made it seven wins from nine career outings when clocking a new personal best of 29.68 (+50) for the 500m course. 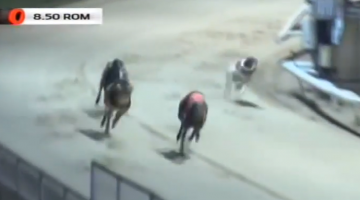 Patrick Janssens’ Seaglass Phantom (Droopys Jet-Beanfield Park, Nov 16) was only one spot slower when stepping up from a 28.85 (+30) 480m trial. The other trialstake went to Down To The Felt (Toolatetosell-Em Millie, Nov 16) in 30.15. Colston Aero, fastest of the year over Dundalk’s 575 yard trip, recorded the fastest trial before racing with a 29.98 run. Others of note included Produce Stakes runner-up Shoot The Bolt (30.24) and Incognito (30.00). All trials were assessed as +30.